BBC – Former England captain Michael Vaughan will once again swap the commentary box for the cricket field to captain the Test Match Special team in a challenge match against a Tailenders podcast team, led by England bowler James Anderson. Former England captain Michael Vaughan will once again swap the commentary box for the cricket field to captain the Test Match Special team in a challenge match against a Tailenders podcast team, led by England bowler James Anderson. After the success of last summer’s TMS’s 60th anniversary match, the team are returning to face a team of cricket-loving celebrities, put together Anderson and the podcast’s presenter Greg James. Vaughan’s TMS team will feature a host of former cricketers and commentators. The Tailenders team will include James’ fellow presenter and ex-Maccabees guitarist Felix White, former Liverpool footballer John Barnes, McFly drummer Harry Judd, Strictly Come Dancing’s Anton du Beke and Olympic gold medal winner Becky Adlington. 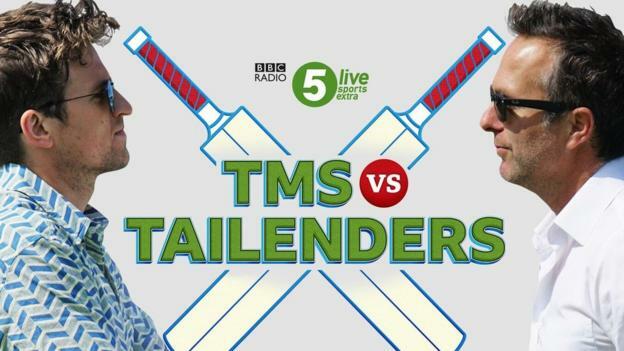 The TMS vs Tailenders challenge will be broadcast on BBC Radio 5 Live Sports Extra and screened live on the Red Button and BBC iPlayer, with regular updates on BBC Radio 5 Live, on Friday 17 August from 16:00 BST.